Perfectly pairing our Calla necklace, our earrings show off your unique style, confidence, and femininity all at once. 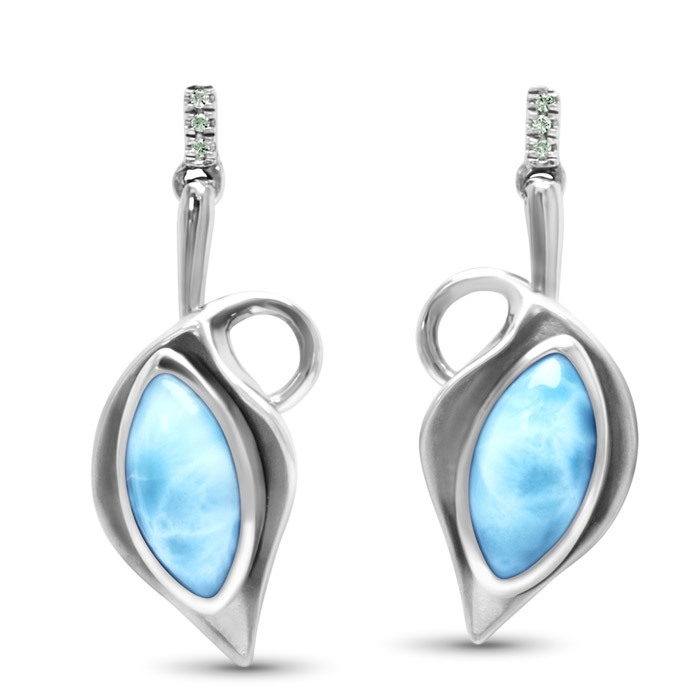 Suspended from silver ropes that curve around gorgeous larimar, topped with stunning spinel, these beauties enhance your look in and out. 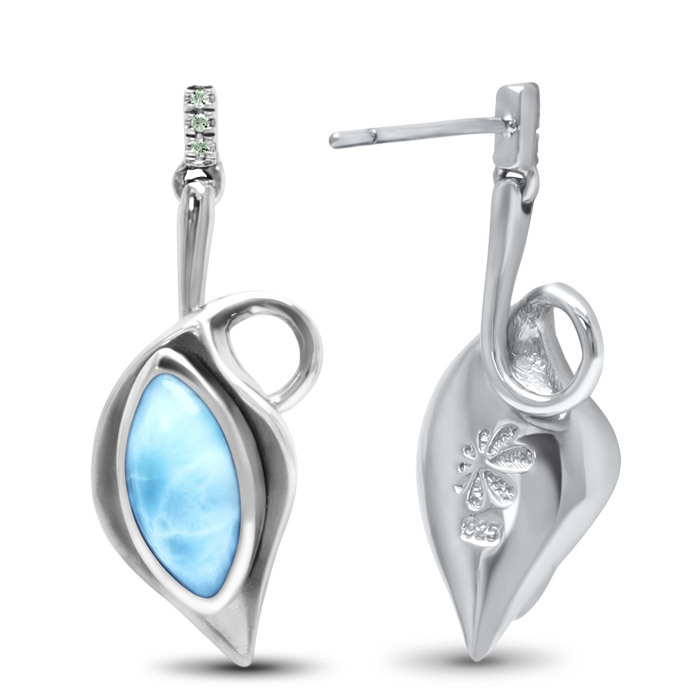 Product Details: Two 6x11mm larimar gemstones with green spinel and sterling silver.